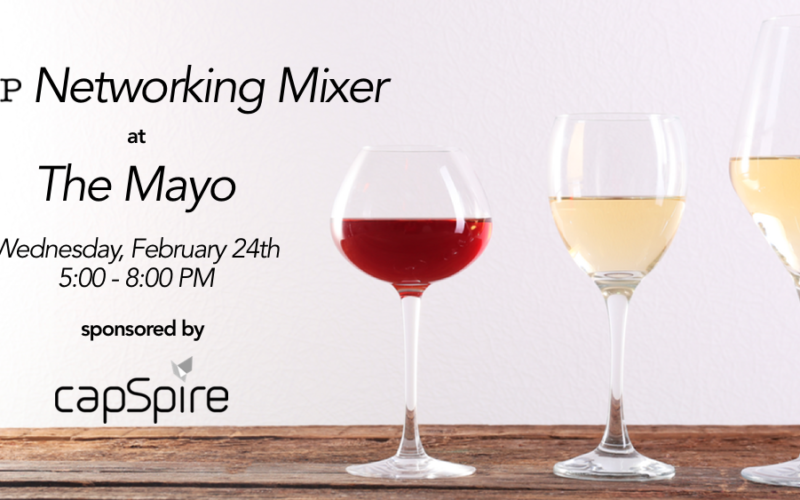 Join Tulsa Energy Professionals for the first Networking Mixer of 2016! Tulsa Energy Professionals quarterly mixer – Ready, set, meet and greet! TEP offers networking opportunities for professionals from a variety of participating energy corporations. The quarterly event brings together energy professionals to relax over food and drinks, talk shop and meet new business connections. TEP is composed of a number of prominent businesses in the Tulsa area with the intent of bringing people together to network and share information about emerging trends in the energy industry in a casual, fun atmosphere. Global consulting and solutions firm capSpire, located in downtown Tulsa, spearheaded the creation of Tulsa Energy Professionals and continues to serve as event organizer and sponsor of group events. “Having a group like Tulsa Energy Professionals fills a long-time need in the industry and we’re just thrilled about the interest we’ve received from attendees and companies,” says Trent Amos, capSpire Vice President of Sales and Marketing. “This type of organization has been long overdue in Tulsa and there’s a large energy community here that is now eagerly participating. Aside from the camaraderie that’s gained whenever colleagues have a chance to relax and unwind at the end of the day, TEP events are also unique networking opportunities that bring together all types of energy professionals. Members of TEP range from traders and accountants to developers and managers. *Note: There is no membership or special invitation required to attend a TEP networking mixer. Our events are geared to create a social atmosphere to allow Tulsa energy professionals to network, share best practices, and unwind in a casual environment. Please feel free to invite clients, colleagues, and other professionals in the energy industry who would enjoy networking as well. Be sure to connect with other Tulsa Energy Professionals on LinkedIn and follow the Facebook page to learn about upcoming networking events. capSpire is a strategic advisory, system integration, and technology solutions firm with offices in the United States and Europe. Leveraging centuries of collective experience and a drive to find a better way, capSpire has shifted the paradigm on how innovative solutions create value for its clients across commodity trading, transportation, diversified energy and consumer packaged goods.